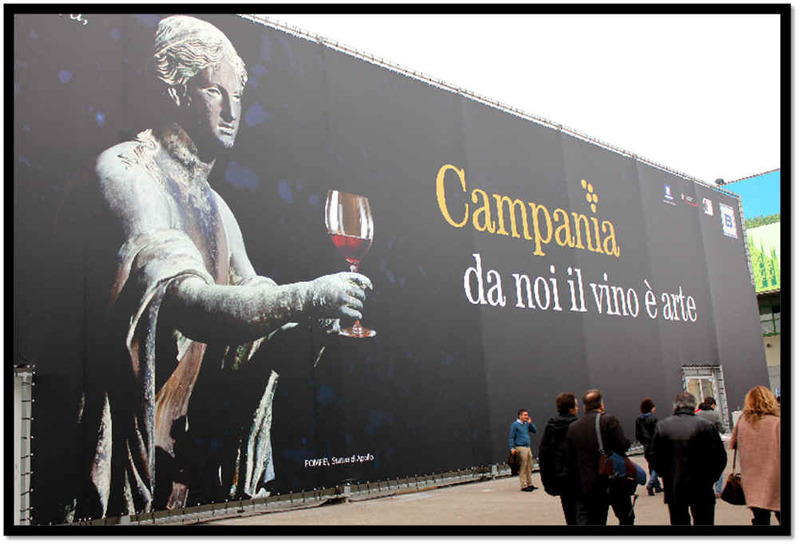 We've been attending what was once a little wine fair (back in the mid-1980s) to what's now an annual celebration of life and Italian wine. 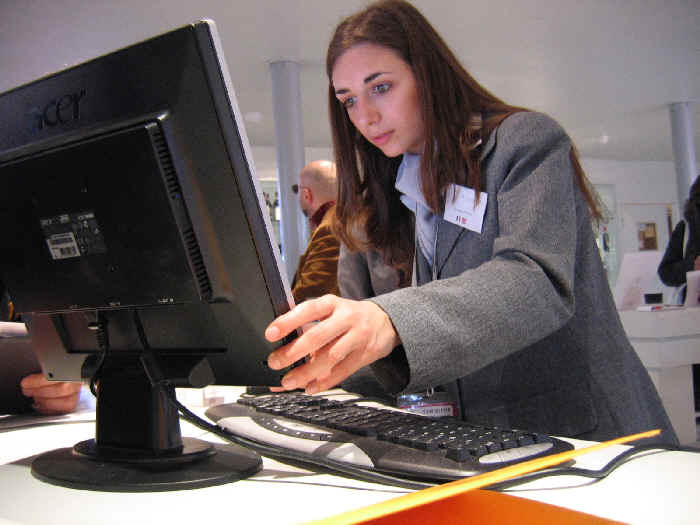 VinItaly is held annually in the city of Verona and it's evolved and developed, mirroring to some degree, the evolution of the Italian wine business. 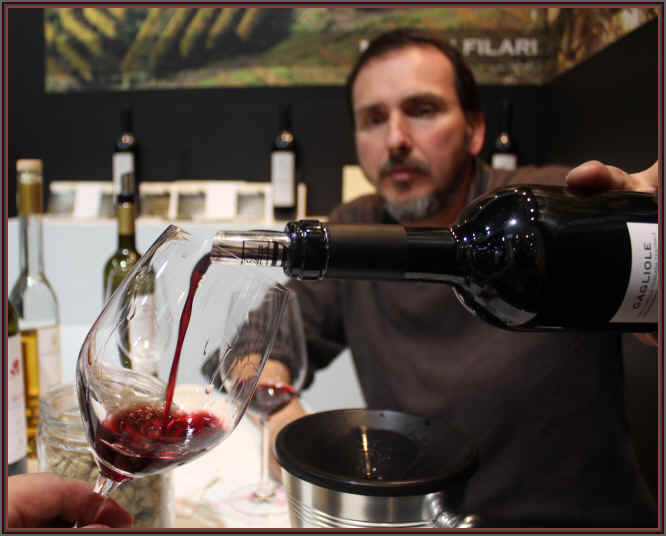 The fair is attended by thousands of wineries and if you're a small producer from some obscure place in Italy, this is a good venue to showcase your wines and, hopefully, meet importers from around the world. 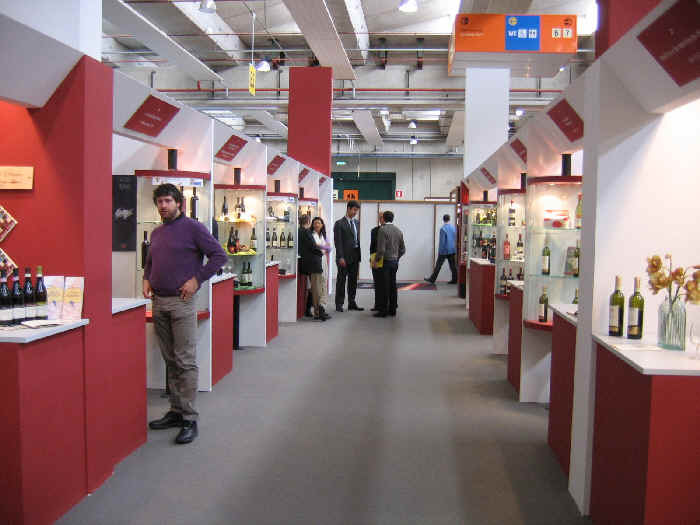 Large, well-established wineries construct elaborate stands. 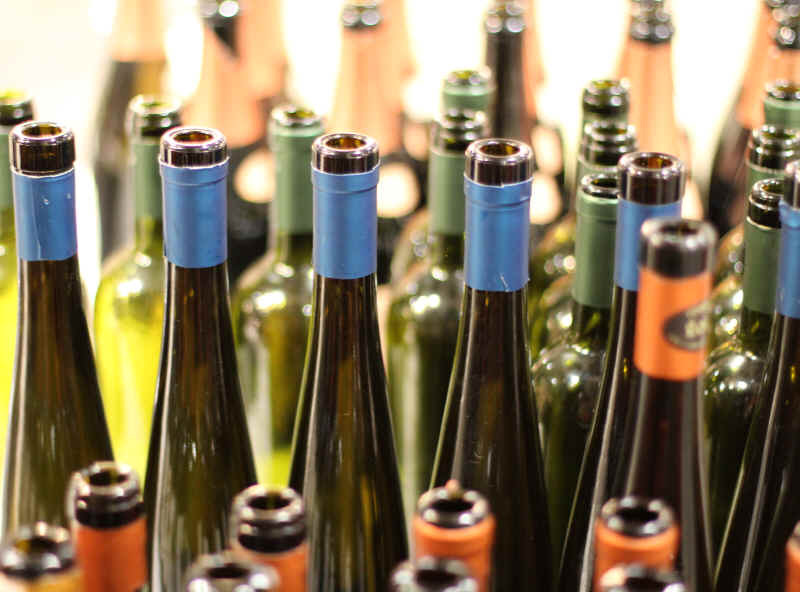 Groups of small, "farmer" wineries might pool their resources and have very spartan stands with little more than some brochures, price lists, wine glasses and bottles of their wines. The fair was a five day marathon until a few years ago. Now it's merely four days of strolling around numerous pavilions. 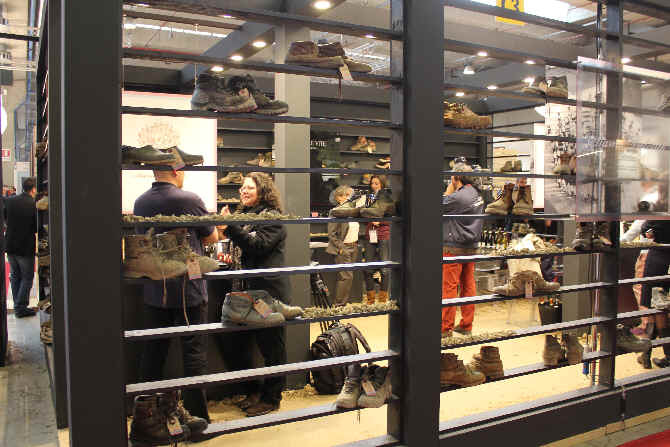 And if you've been attending VinItaly for any length of time, you know precisely where certain wineries are going to be located, as they've rented the same space for perhaps the past two decades or more! 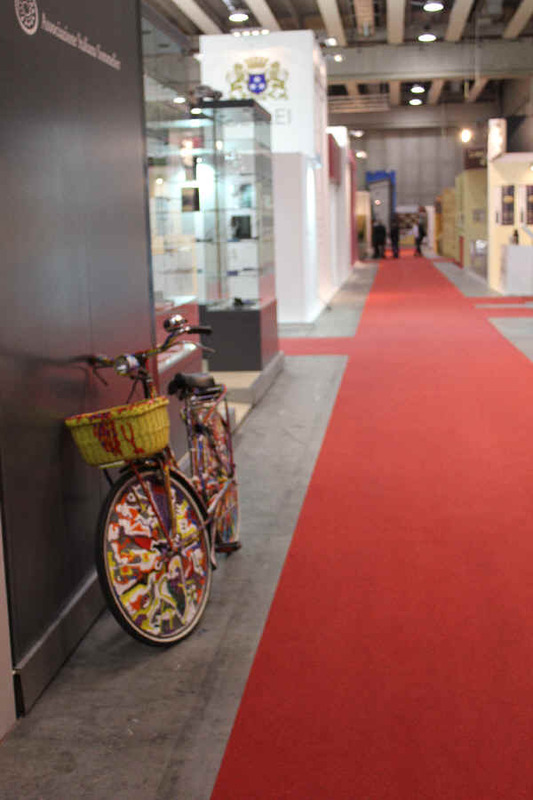 Knowing the stand of the Vietti winery is a popular spot, we immediately made tracks to taste their latest releases. 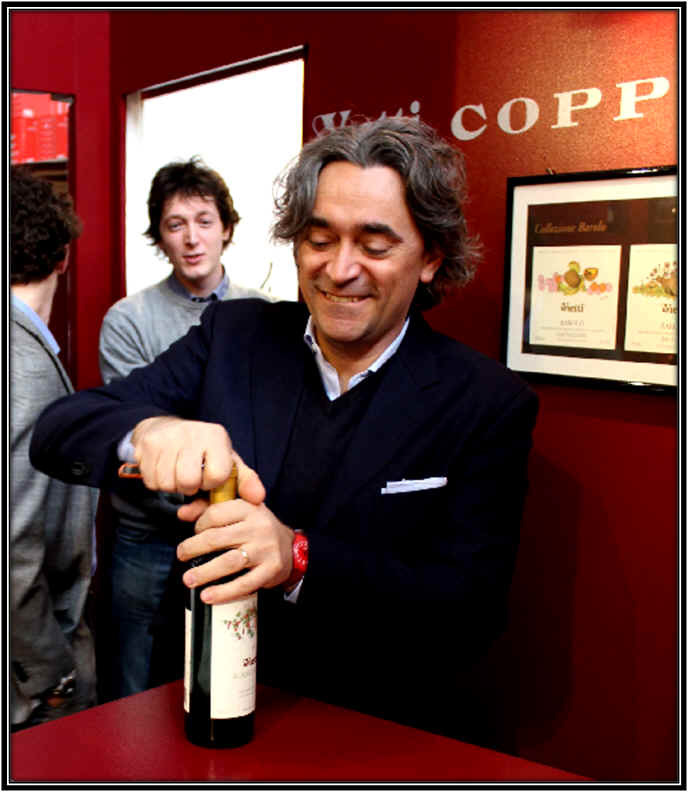 The Coppo brothers from near Asti share a stand with Vietti and they make some exceptional wines, from Chardonnay to Barbera to Barolo. 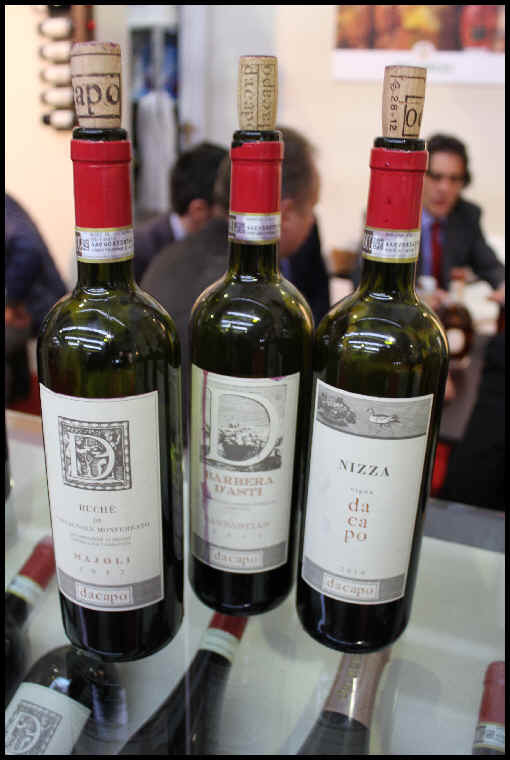 The Cogno winery makes wonderful Nascetta, but a range of typical Langhe reds. The "artista" who designed the colorful art-work on this exceptional bottle was on hand to pour their liquid artistry. 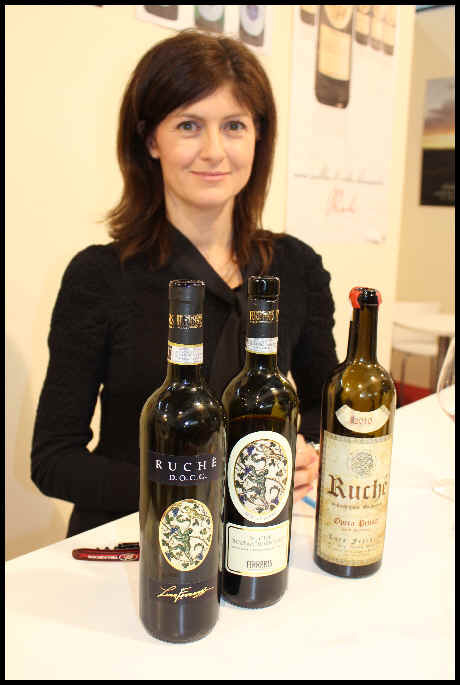 We sampled some Ruche wines and the wine of Luca Ferraris is amongst the best. 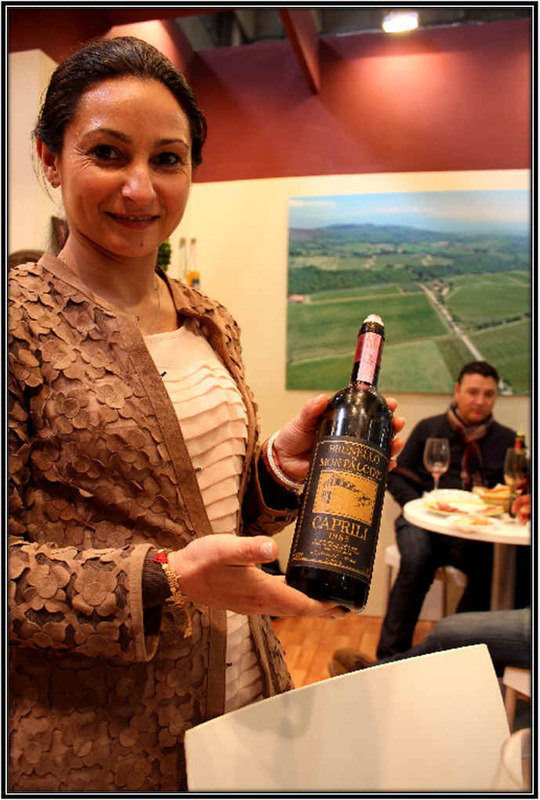 The wines of Northern Piemonte are worth researching, so we stopped to taste the wines of Antichi Vigneti di Cantalupo. 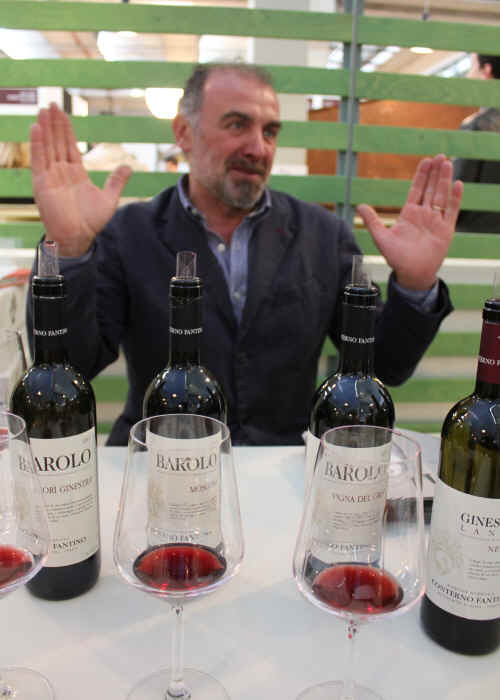 Carlo Arluno showed us his current line-up and we're delighted that his wines are finally available once again in the San Francisco Bay Area. 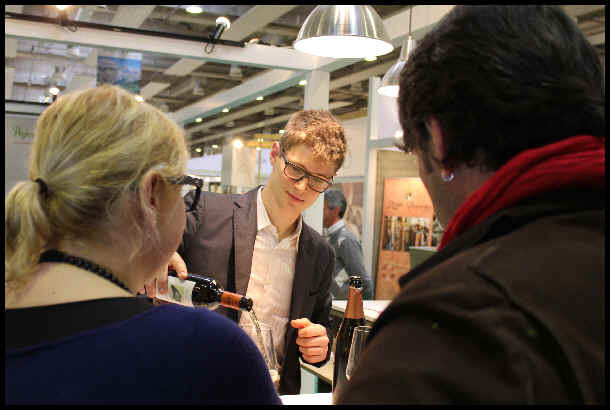 Many stands have tables for tasting, discussion and negotiations. Da Capo's wines were excellent, by the way. 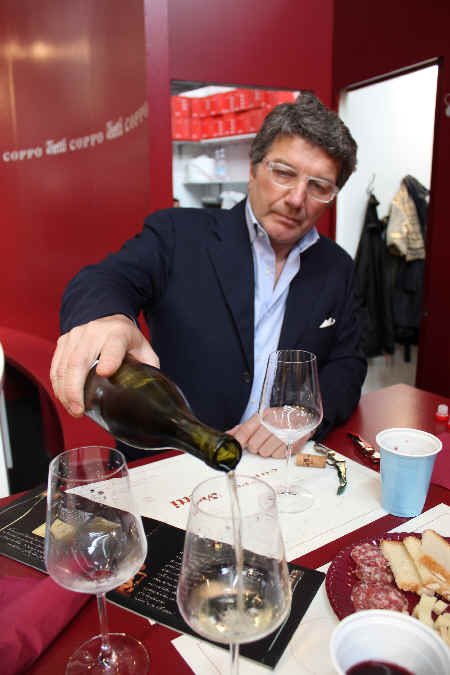 The wines of Conterno-Fantino are mighty impressive. Oberto's new releases are also impressive. 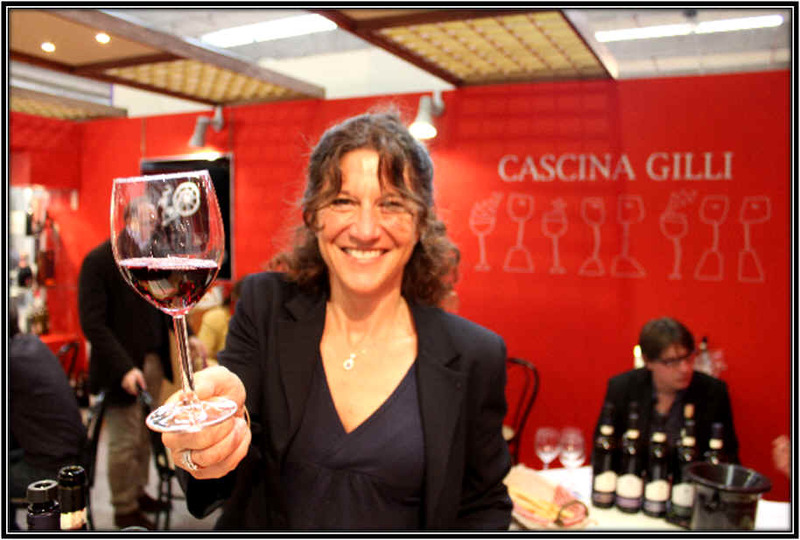 Beatrice Boschis presents the wines of her famous Zia, Chiara. 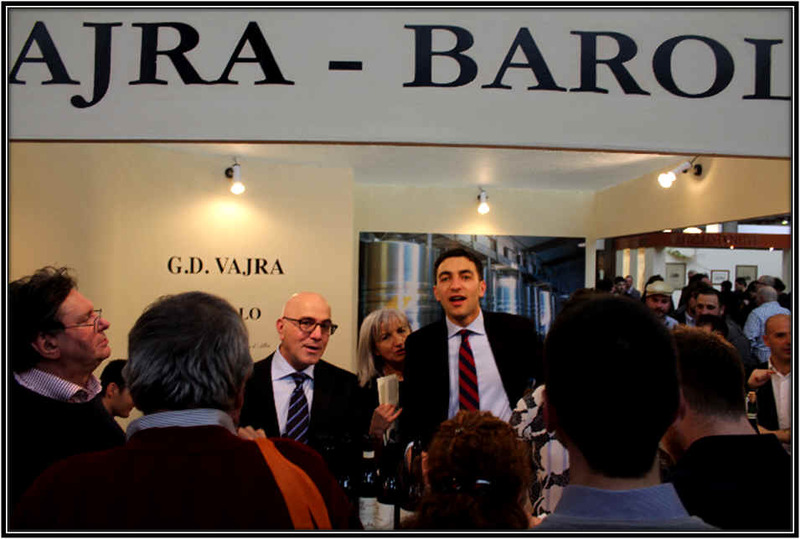 The Vaira Family's winery is in a prime spot amongst the Piemontese producers and it's always crowded thanks to their fine work in the vineyards and cellar. 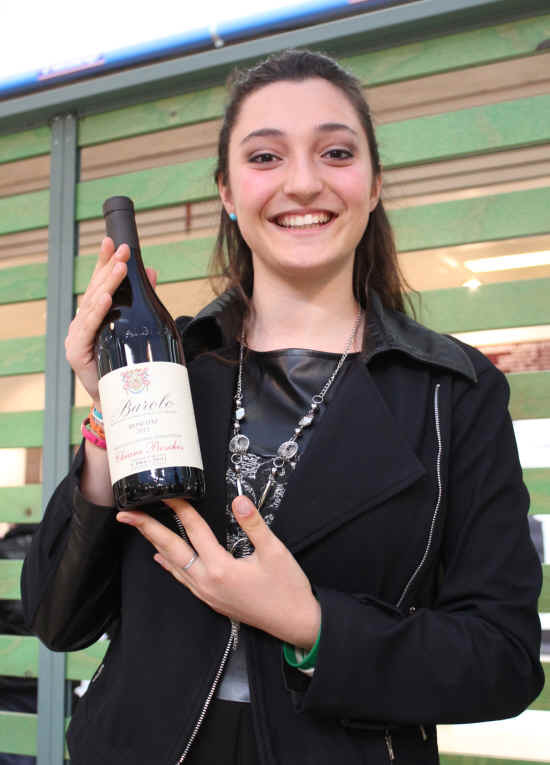 Chiara at Cascina Gilli offers a taste of their remarkable fizzy Malvasia. 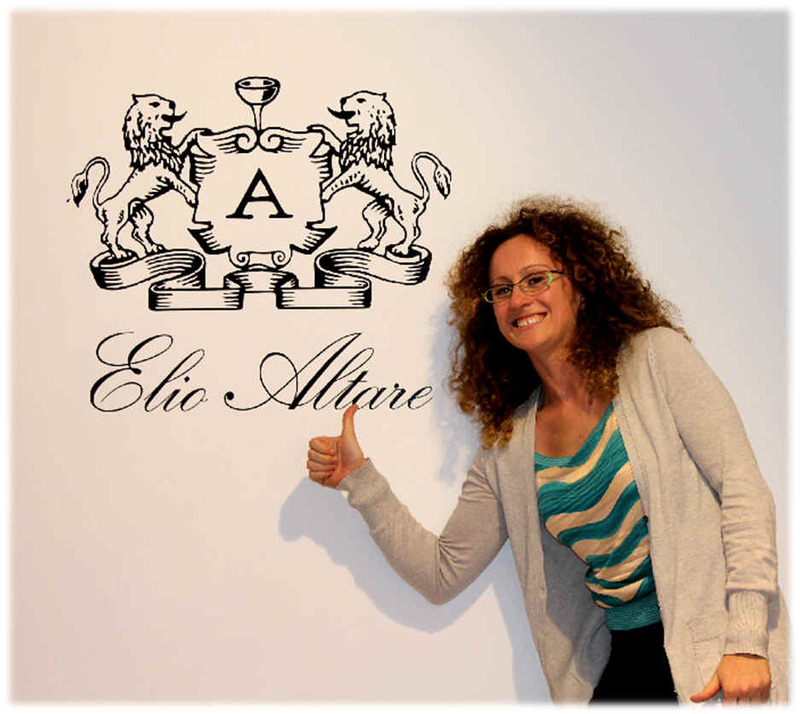 Silvia Altare is able to speak eloquently about her family's wines, either in Italian or English. 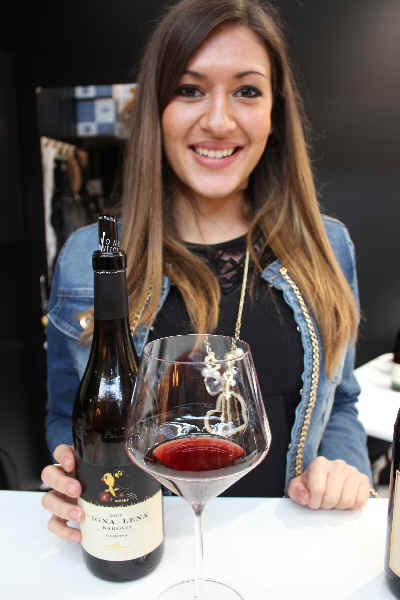 Vittoria Alessandria poured her family's wines, while her father, Gianfranco visited with prospective customers (in the background). One winery brought in "dirt" from their vineyards and displayed the work shoes and boots of their vineyard crew. You'll find various pavilions devoted primarily to the wineries of a particular region, though their are always a few "lost souls." 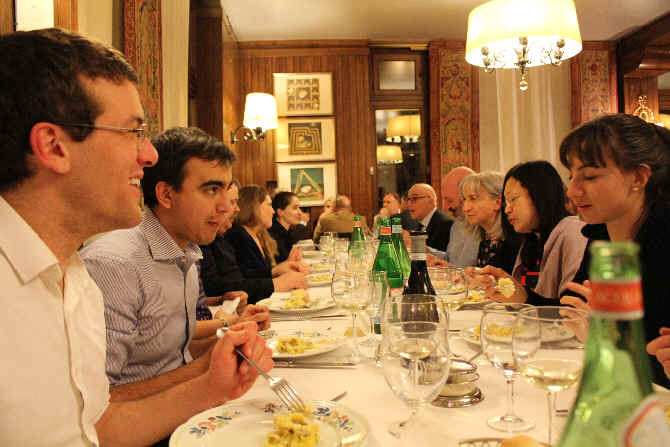 We accepted the invitation from some friends to be their guests at a restaurant just outside of Verona. They hosted a veritable "United Nations" table of guests...customers from Japan, Russia, America and Australia. 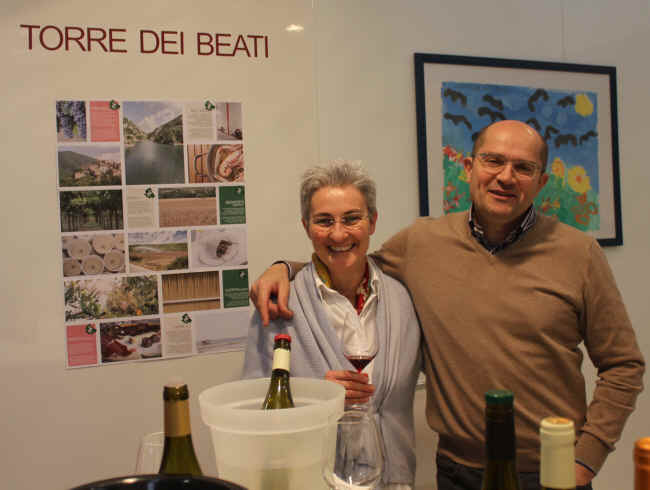 The next morning, bright and early, we continued our visits in Piemonte. Domenico Clerico and Giorgio Rivetti. 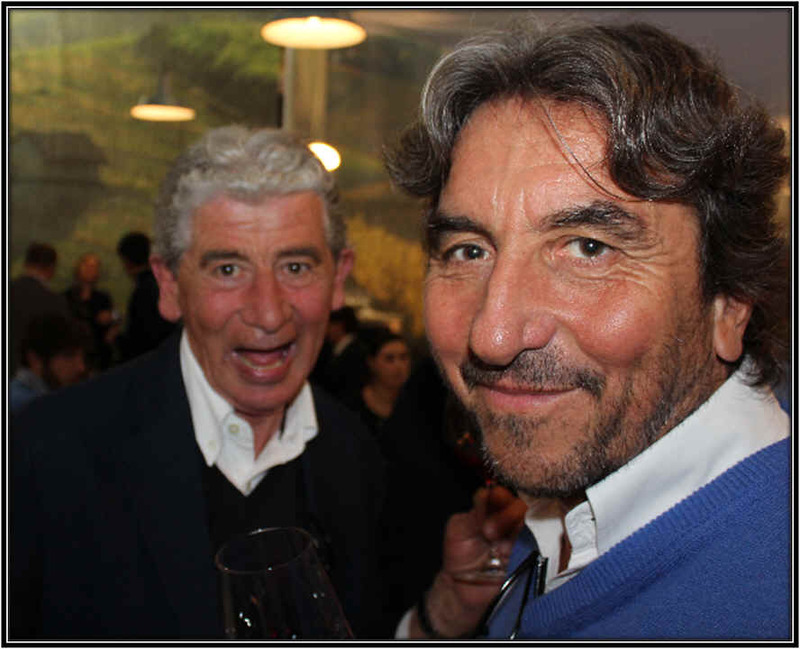 Clerico was at the 2017 VinItaly, but passed away suddenly during the summer. 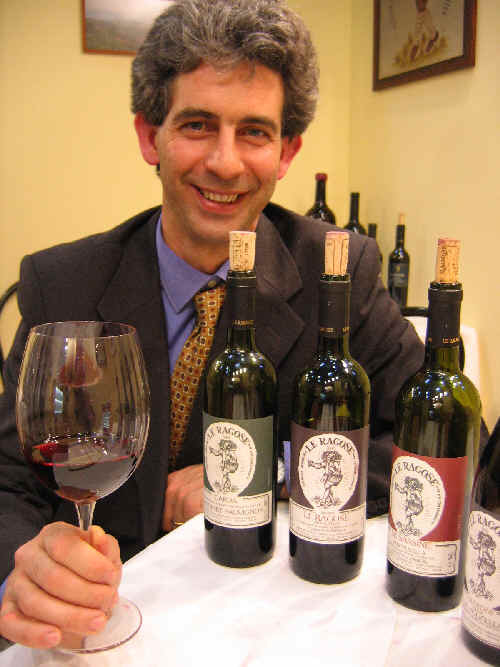 Seghesio makes some exceptional wines and they arrive at sensible price levels. But there's more to Italy than solely Piemonte (hard to believe, I know!). A neighboring building is chock full of Tuscan producers, so off we went to explore the world of Sangiovese (and more). 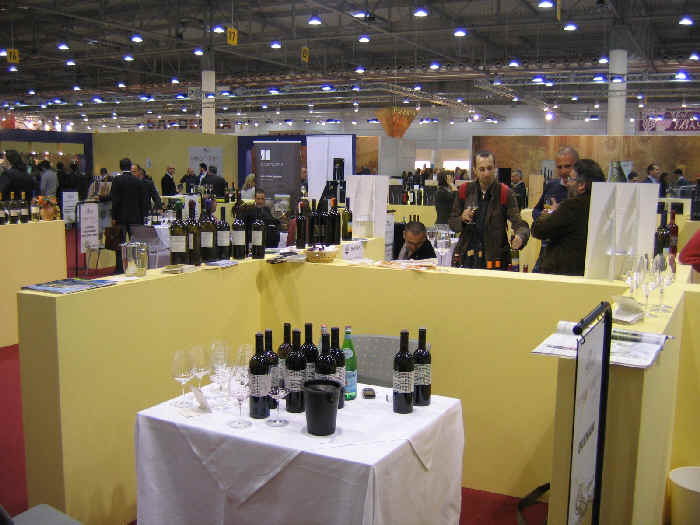 Some consorzio stands allow one to taste many of the wines of the various members. 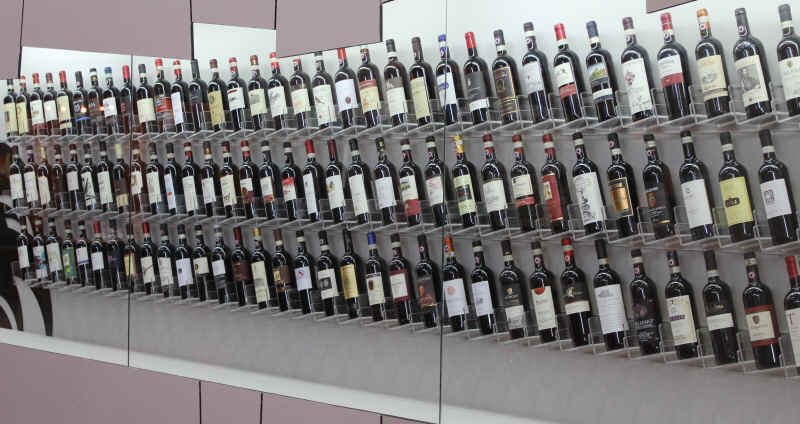 This snapshot shows the Chianti Classico wines available for evaluation. We had to stop to taste the latest wines of Piancornello, a long time favorite Brunello winery. 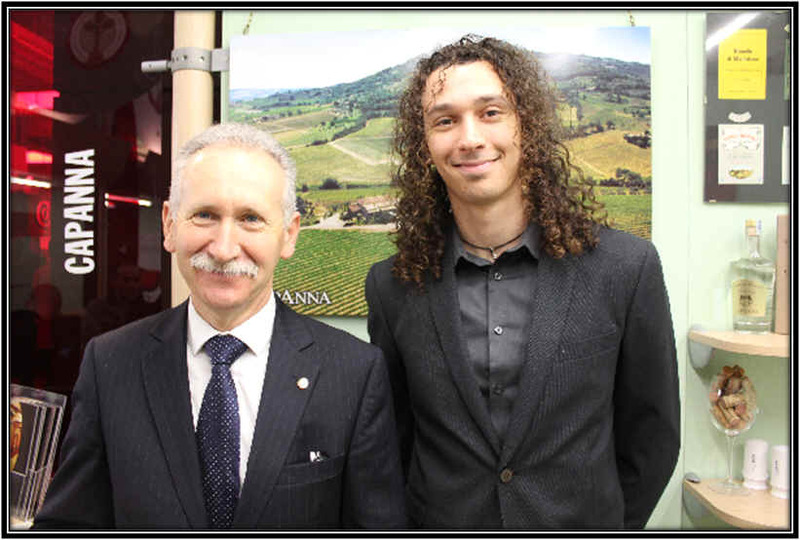 It was great to meet the enologist of the Le Chiuse winery...I'd visited a year earlier, having been thrilled with their wines. 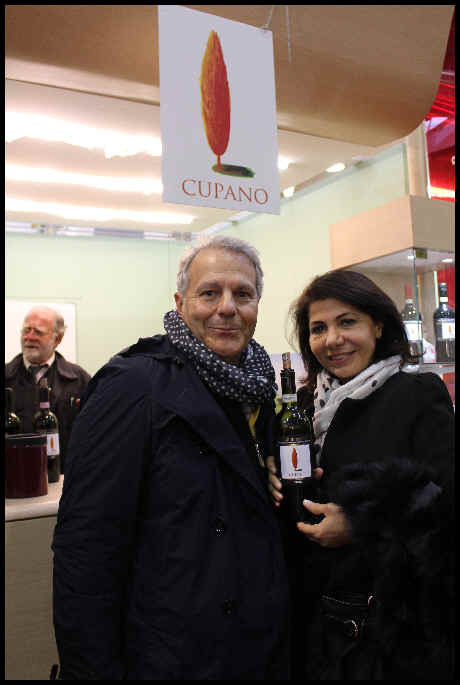 In the background, coincidentally, is their San Francisco importer, the great Dino Capriotti of Vinity Wines. 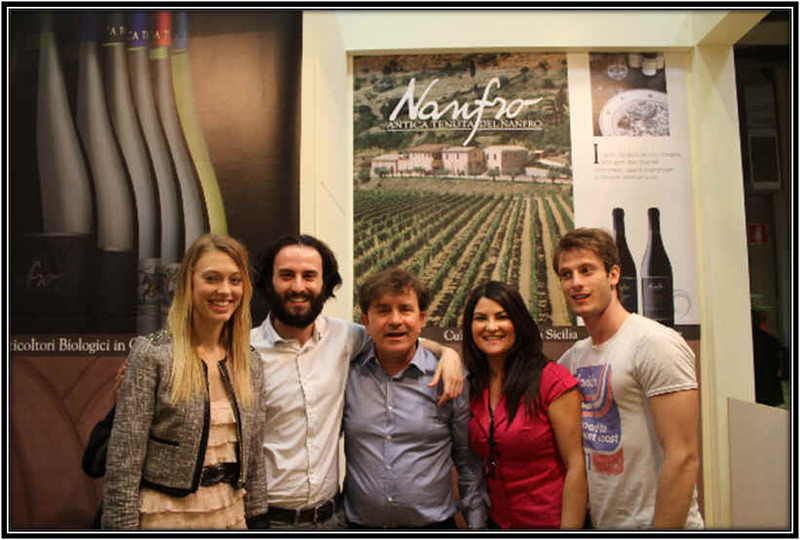 We ventured to taste some wines from Le Marche and Claus was impressed with those from Marotti Campi. 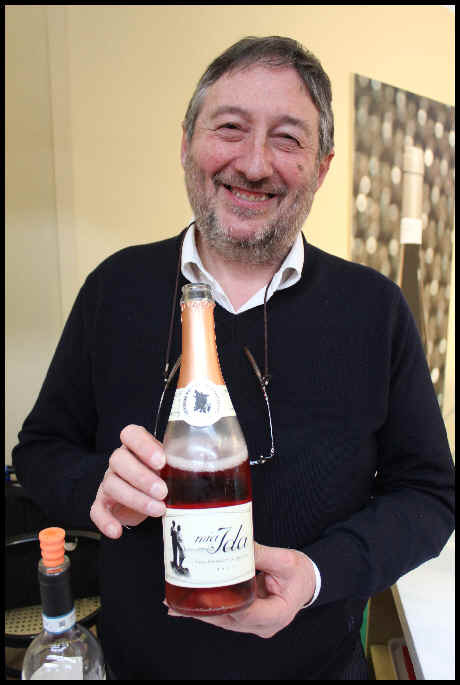 Signor Caggiano from Campania, a noteworthy producer of Taurasi and other delights. 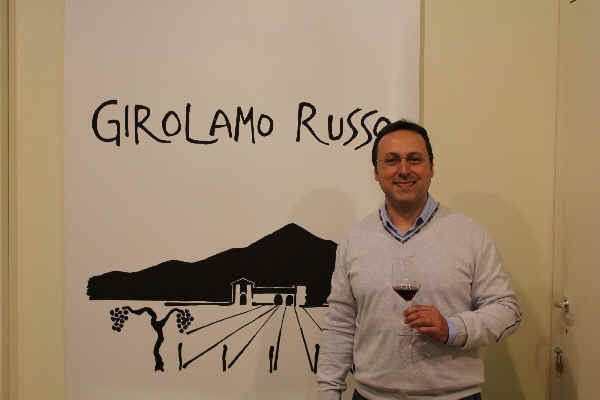 Giampaolo Chiettini is from Trentino, but these day he lives in Toscana. 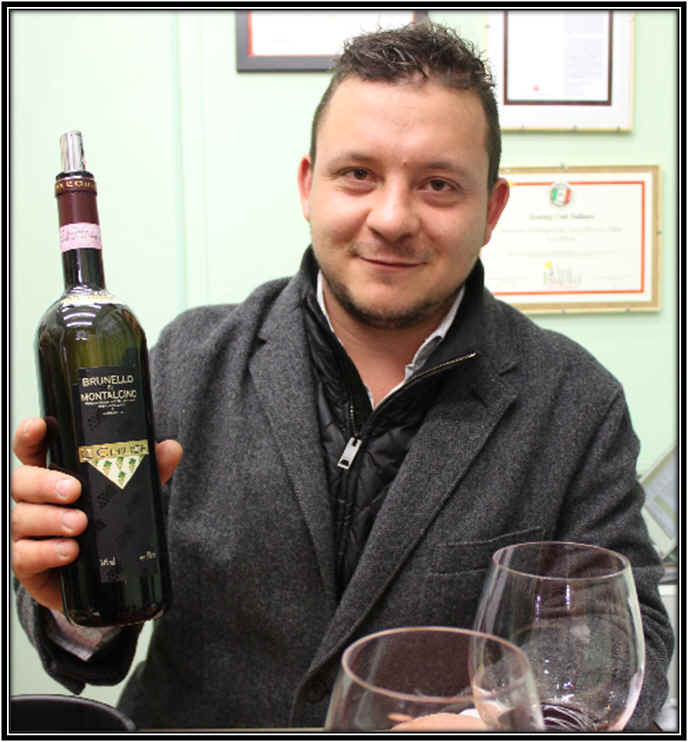 He's a winemaking consultant and works with wineries all over Italy. 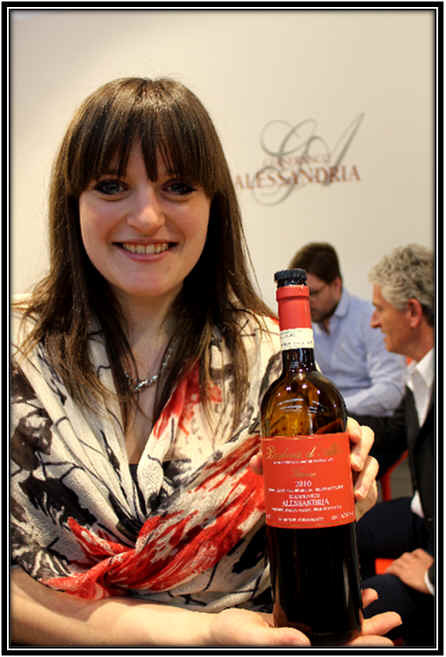 That's Elisa Sandri of Trentino's famed Pojer e Sandri winery. 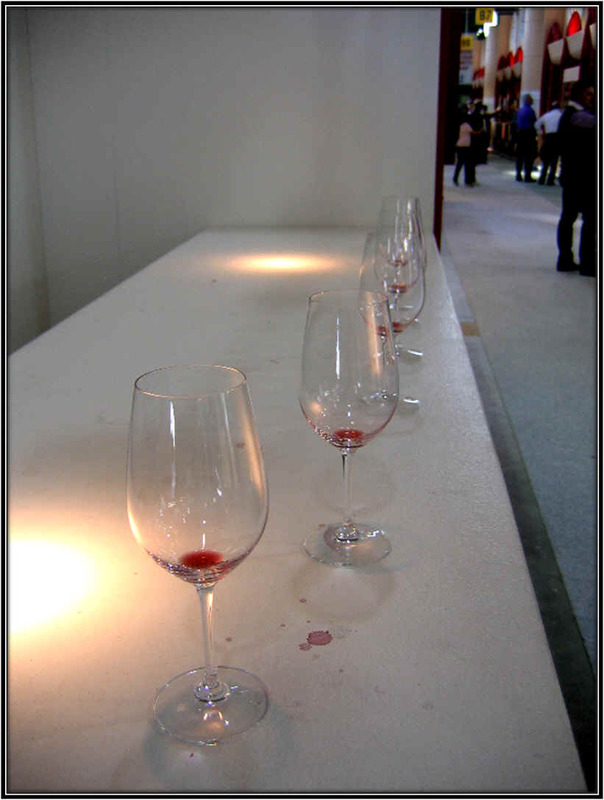 The end of a long day of pouring wine at VinItaly...Pojer & Sandri. 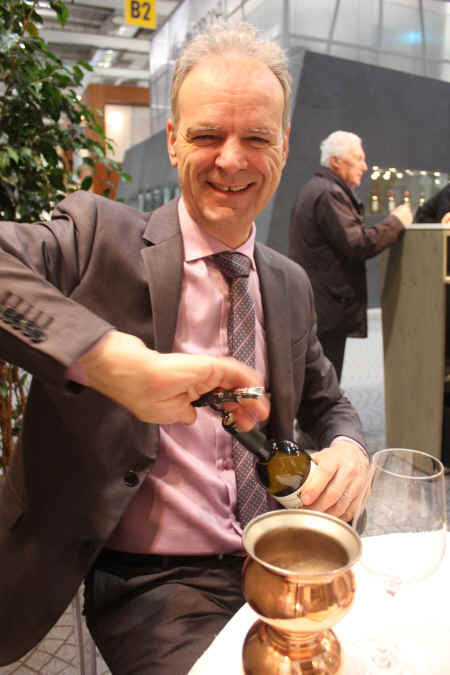 Another famous Trentino winemaker: Terol-Diego Bolognani from the town of Lavis. 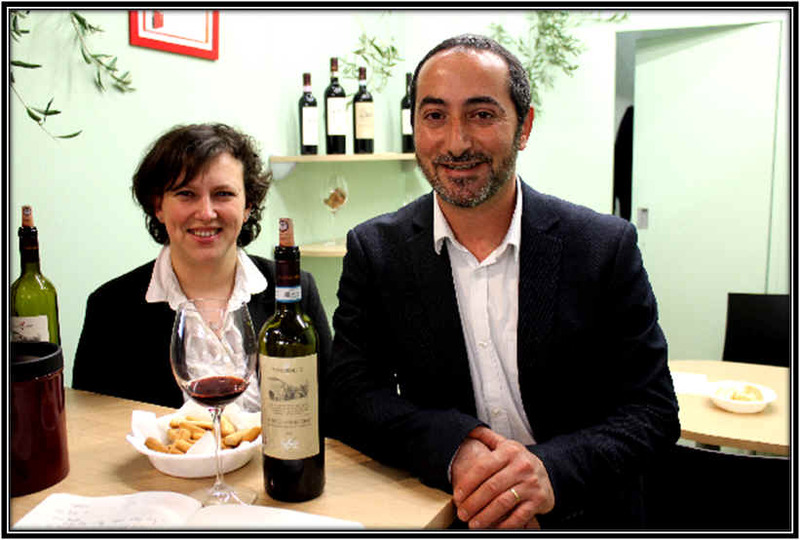 Twenty years ago you'd have trouble finding a winery from Etna...today, they are happy to show you their latest releases. 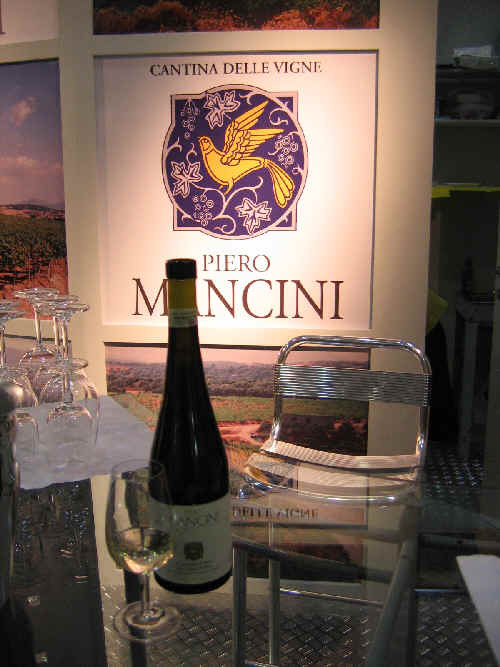 We were delighted to find a favorite Vermentino producer, Piero Mancini from Sardegna. And if you're lost, there is even a crew to direct you to the producer whose stand you're looking for. 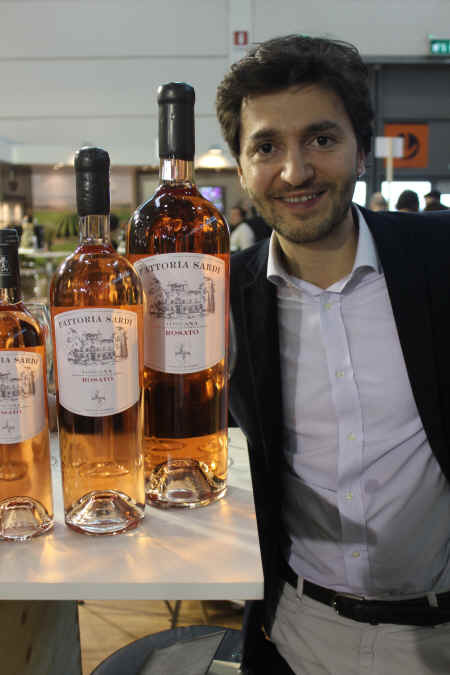 A young winemaker who produces good "Rosato." 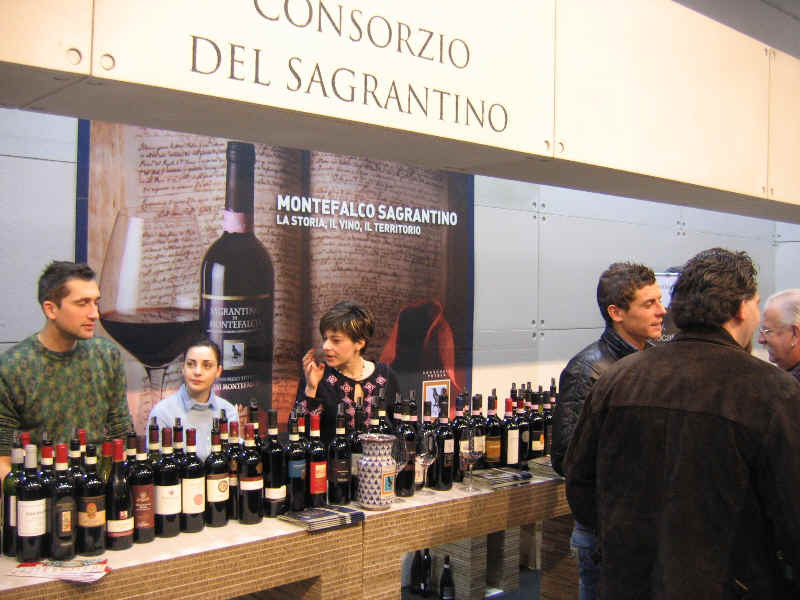 Various grower's consortiums will set up a stand and you can taste various producer's wines of a particular appellation...in this case, the wines from Montefalco in Umbria...Sagrantino. 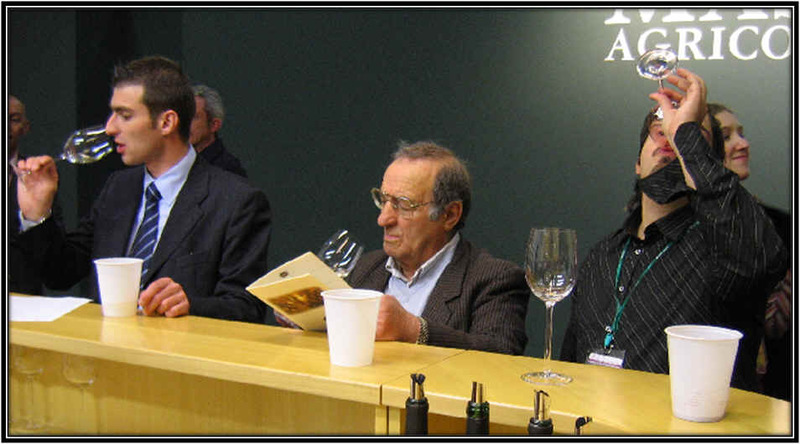 Some producers whose wines have been featured in a particular guide book have a table to show off their works. 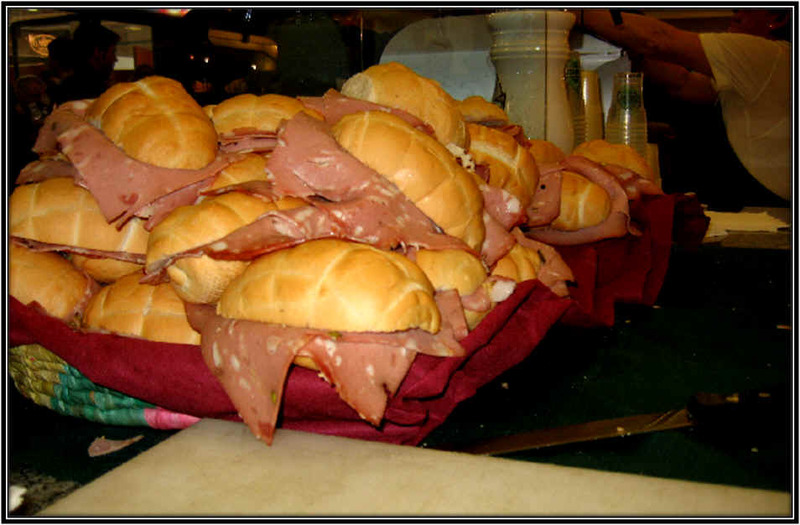 We start at the opening bell in the morning and sometime around mid-day, or so, we're pleased to take a ten minute break for a simple panino. 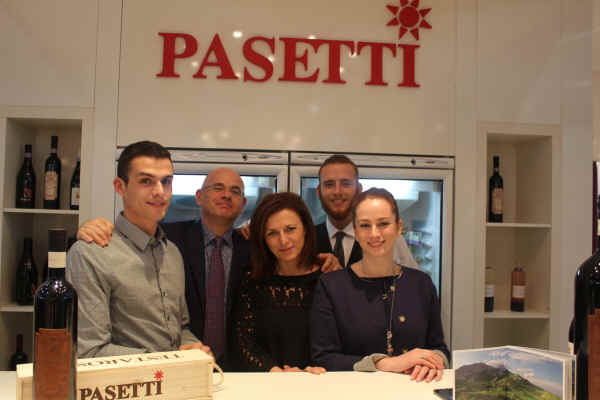 The Pasetti family make some wonderful wines...Montepulciano is a favorite here. 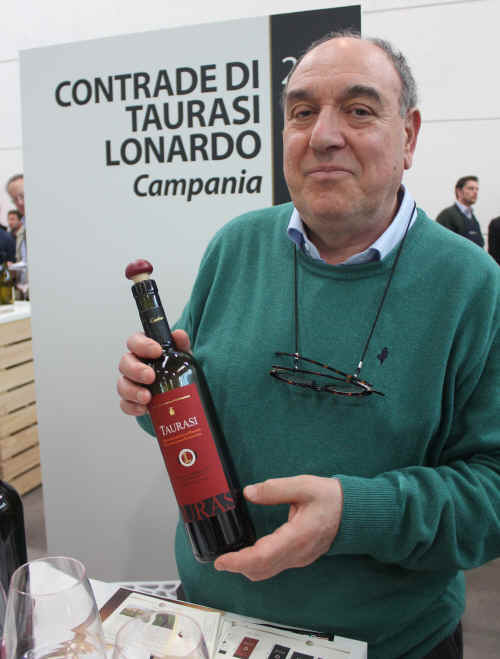 We like the Contrade di Taurasi wines made by Signor Lonardo. 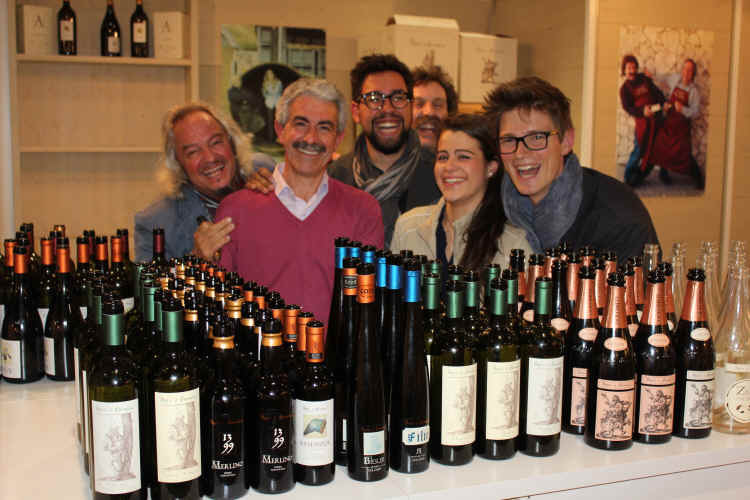 The "Team" of Torre dei Beati. The end of a hard day's work! 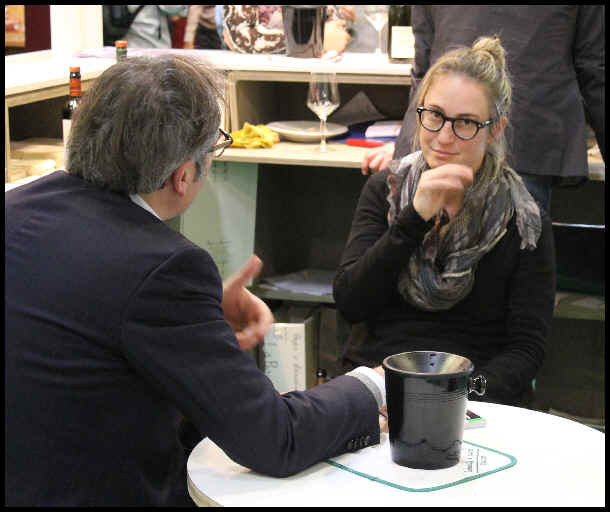 And we look forward to next year and the upcoming 2019 edition of VinItaly. Thanks to Kareasa Wilkins for helping assemble the photos and some notes.